Is there a more seasonal fall vegetable than squash? Squash is one of my favourite vegetables, and it is one of the reasons I look forward to fall every year. This weekend I had two butternut squash to use up, so I tried several new recipes and also revived some old favourites. If you are looking for some ideas on how to use up your squash.....look no further. This Squash and Lentil Curry from Ricardo checks all the boxes. I had all the ingredients on hand in my pantry (except the squash, of course). 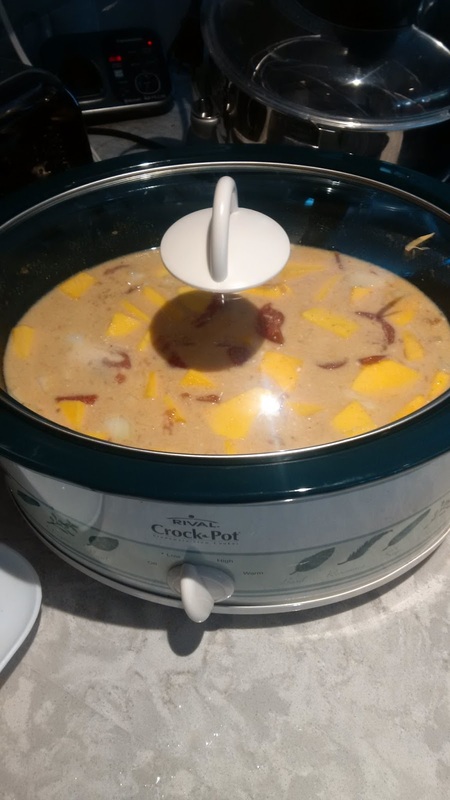 This is so easy to make - just dump all the ingredients in the slow cooker, give it a stir and walk away for 6 hours. That's it!! It is quick to assemble, economical, and healthy - what more could you ask for in a meal? The spices in this dish are very mild - you could easily add more for stronger flavouring. 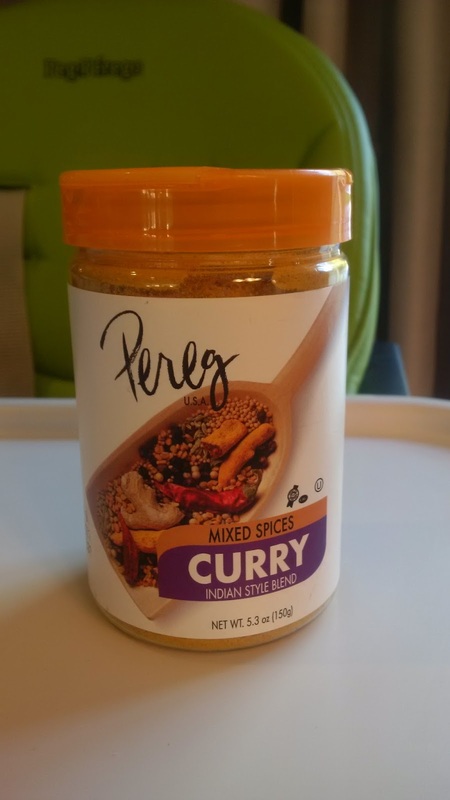 I used Perez Curry Spices (one of my favourite blends) and added a bit more than what the recipe called for and it was still quite mild. 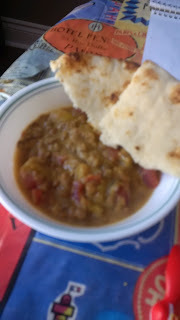 If you are not sure about Indian food - this is an excellent "gateway" dish. Serve it with naan bread or Basmati rice and enjoy!! The recipe can be found here, just replace the Pumpkin with Butternut Squash. This recipe is from Bonnie Stern's Friday Night Dinners, the South African menu. This recipe is another gem from Ricardo. I made two of these and send one to work with my husband. 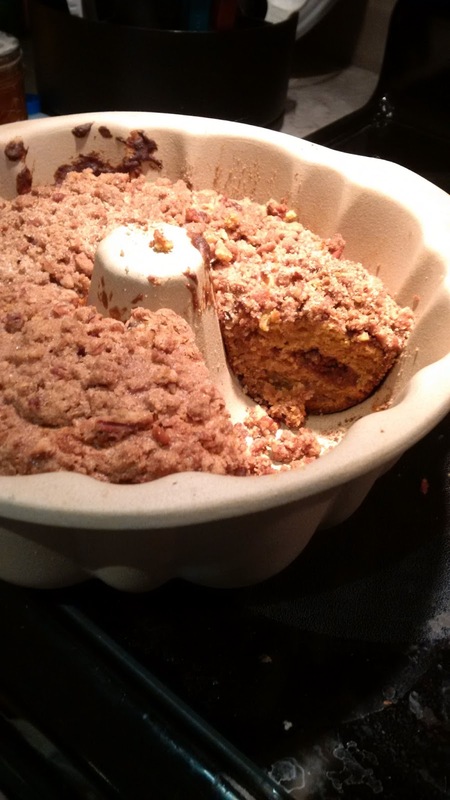 This is a wonderful coffee cake recipe - I am sure the Butternut Squash could also be replaced with pumpkin and taste equally delicious. 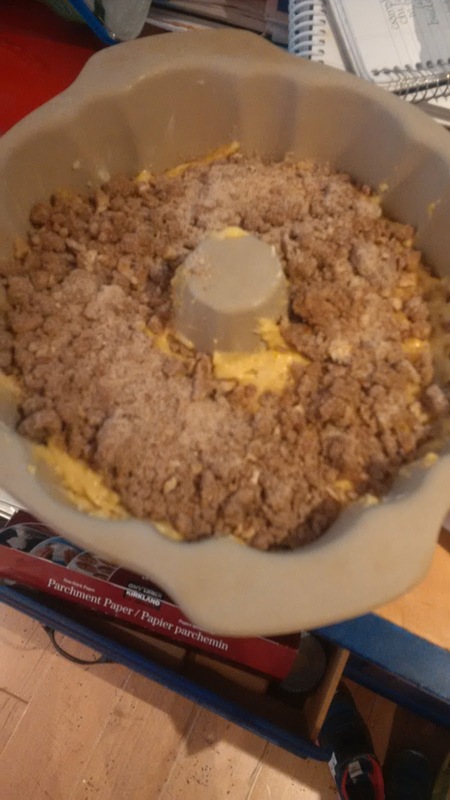 But there is something fun about telling people it is a Squash Coffee Cake. Finally, if you have the cookbook Friday Night Dinners, I highly recommend the Roasted Carrot and Butternut Spread from the Thanksgiving Menu. Unfortunately, I do not have a link for the recipe and I do not repost recipes without permission/copyright. I hand picked my squash at our local Metro ; ) I had never thought to put it in a coffee cake either - but it was delicious. Unfortunately I think many people are thinking this makes the coffee cake "healthy" - haha.......not so much but it still tastes fabulous ; ) But wait - nuts, squash, dairy (butter), grains (flour)....it must be healthy, right?? These recipes look delicious! Makes me look forward to Autumn all the more! They are all very yummy!! For my entire life, my mom made "pumpkin" pie with winter squash. It is delicious. I didn't even know until I grew up that everyone didn't do it that way, and that I had never really had pumpkin pie--just yummy squash pie!! We always grew a kind called Sweetmeat Squash, and it was never stringy, and always very sweet. I think it is a kind of squash that is very popular here in the Pacific Northwest, and maybe not as popular in other parts of the country, but any winter squash would probably work. That sounds really good. I live the versatility of all the different squash varieties. And who doesn't love pie? ?